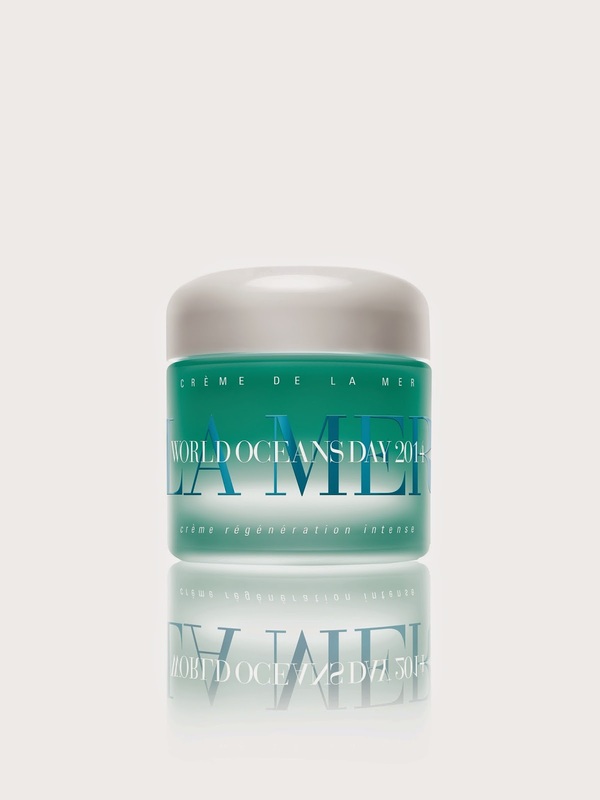 Crème de la Mer is one of the most well-regarded - and luxurious - skin creams in the world, thanks to its unique use of sea kelp, eco-friendly processing and above all, the astonishing results the cream yields. To celebrate World Oceans Day today, the skin care brand has once agaib released a very special version of their famous moisturising cream; happily, the Limited Edition Crème de la Mer 100ml ($660) will look just as good sitting pretty on your bathroom sink as it will feel on your face and conscience! In their quest to improve the health of our oceans, La Mer, which uses only sustainable hand harvesting to gather their sea kelp, threw their weight behind two highly-esteemed conservation organisations: the National Georgraphic Society and Oceana. To date, La Mer has donated over $1 million to Oceana in support of World Oceans Day, and now, they've collaborated with National Geographic's underwater explorers to create a breathtaking short film, led by legendary explorer Dr. Sylvia Earle. If you’re looking for a way to support World Oceans Day, celebrated annually on 8 June, this is definitely the most stylish option. The limited edition 100ml World Oceans Day Crème de la Mer is available throughout May and June. It comes in a specially designed, ocean-inspired jar that is almost too good to open, and I’ve even been told of fans of the brand who collect these most beautiful limited editions religiously each year. The cream was created to honour La Mer founder Dr Max Huber’s love for the sea, and its ability to regenerate and heal the skin. It is hoped that the campaign will also encourage awareness around the necessity to preserve the oceans, and also its fragility and importance as a restorative resource to us all. World Oceans Day was made official by the United Nations in 2009 and recognises the importance of protecting the ocean and its habitats. To date, Oceana has already made a big contribution by reducing over-fishing and nurturing several ‘threatened marine habitats with its science-based policies’. Save our oceans AND save your skin - what a glorious combo.